Mary Catherine Way, a partner in the Litigation Practice Group, focuses on defending pharmaceutical companies in all phases of product liability litigation involving prescription drugs and medical devices. She also has significant state court experience representing and advising medical care providers in all aspects of medical malpractice lawsuits. 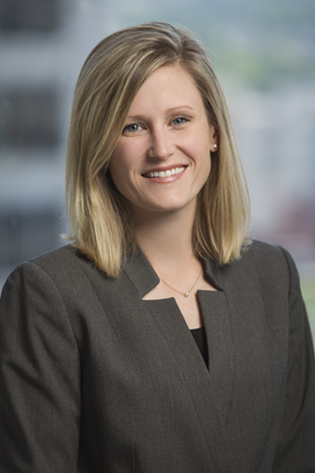 Ms. Way is a member of the Recruiting and Strategic Planning Committees for the firm and serves as chair of the Attorney Staff Committee. Served on a trial team that secured multiple defense verdicts in federal court defending claims against a major pharmaceutical company related to its manufacture of hormone replacement therapy. Served as work-up counsel for multidistrict litigation involving claims against pharmaceutical manufacturer of a statin medication proven to lower cholesterol, including taking the depositions of key fact witnesses, assisting with the bellwether selection process and supporting trial team with trial preparations related to the first two bellwether trials, which were dismissed by motion. Served as work-up counsel for multidistrict litigation involving claims against pharmaceutical manufacturer of an anticoagulant medication, including key fact witness depositions; member of trial team for third bellwether trial, including the selection, coordination and development of expert witnesses for trial. Served as pre-litigation counsel for in-state and out-of-state nursing home clients, including assistance with investigations and pre-suit evaluations. Obtained successful results for clients through motion practice and to a defense verdict at trial and has achieved successful resolutions for clients through mediation of claims and pre-suit settlement negotiations. Served as a law clerk to the Honorable Mary Ann Gunn for the Washington County Drug Court, where she concentrated her efforts on writing the Drug Court Program Manual.